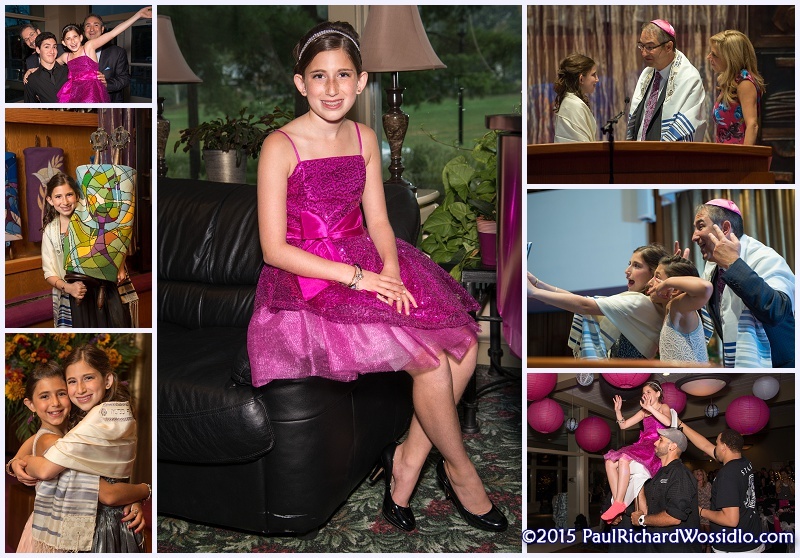 Last weekend I photographed Samantha's Bat Mitzvah at the Temple Sinai in Squirrel Hill. Samantha's a tiny thing, and even the Rabbi joked that the Torah was as tall as she was. The party was at Green Oaks Country Club. A great place with a first-rate staff. Music and entertainment was provided by The Party Crew from Soundtastic Enterprises, who have proven very popular with many of the Bar/Bat Mitzvahs that I have photographed this year. Much of the decorating was done by one of Samantha's grandmothers, who did an incredible job with the centerpieces. One of the things that was new for me was the use of the EverSnap app to share photos. Samantha's parents set up an online album for Samantha's photos, and guests were given the name and password for the album. They could then download the app (available for both iOS and Android) to upload photos from their phones. There was a projector behind the DJ running a slideshow of the photos from the online album, updated in real time as new photos were uploaded. In essence, this is the digital version of the film-era disposable cameras people would put on guest tables. A cool idea, and I uploaded a few images from the Friday night and Saturday morning services, which got a lot of compliments. There were a few issues with it. Some folks apparently had a little trouble with the app, and accidentally uploaded other photos from their phones. So there were some vacation photos and non-party selfies in the slide show. These had all been deleted by the next day. In addition, the plan was to set up a special wifi network at the party, to make it easier for people to upload photos, and there were problems getting that running. Even when it was running, the signal was so weak that I couldn't upload from where my laptop was located. Finally, the app allows people to order prints of any photo in the gallery. I have an issue with this, because I own the copyright on all my images. 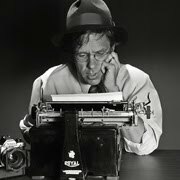 The solution was to upload low-res versions of the photos (800 pixels on the long edge), which is great for online viewing, but won't give you a good print. This is what I do for any social media use of my images, and it worked out great in this case.